Mountain Vista has the concept of take a great spot. 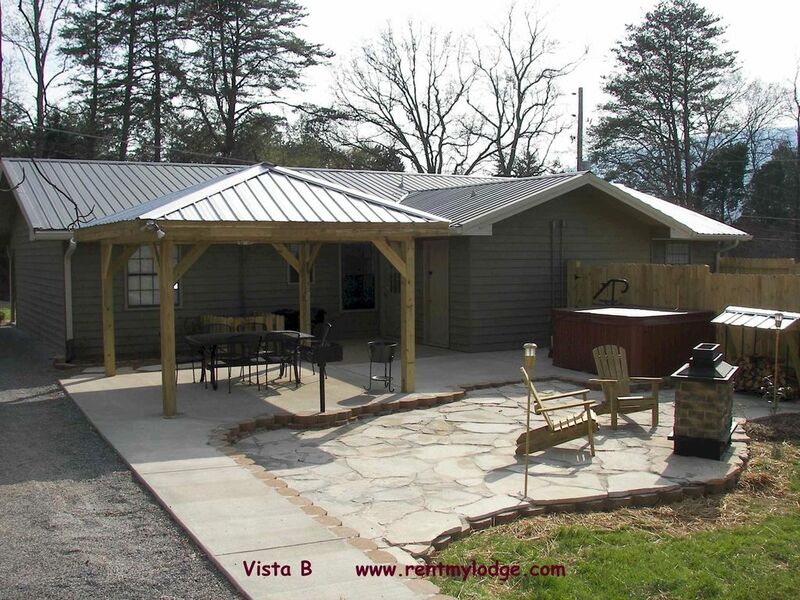 see more rentmylodge.com Beautiful views of The Chattanooga Valley. We sat down and tried to think of every amenity and added to this property. Vista is just 15 minutes to downtown, where all the action is. You will feel you are a million miles away. If you are up to it bring you bikes and take a great ride downtown ( the same route tour de Georgia rides). We also have a great place for our RV folks to come hook-up and spread out. All this for an affordable price. If you rent the vacation Rental you are the only one that has use of the RV site and the outdoor living area. Mountain Vista consists of one 2 bedroom unit. It has a RV Port for hooking up to a forty-five ft recreational vehicle. LCD TV mounted to wall. Towels, bath cloths, hand towels, and soap provided. In addition to the in-kitchen dining area, you will also find a large covered outdoor dining area. It was a very nice place to stay. It was clean inside and out. It was warm, inviting and relaxing which made our much needed getaway very enjoyable! Outdoor gazeebo, fireplace, and hot tub were great. Inside is a bit dated but everything was super clean. About a 20 min drive to Chattanooga which is nice as well. We enjoyed our stay. Really enjoyed our stay! Far enough away from Chattanooga to be quiet and relaxing but close enough to drive in every day. Made taking my dogs along a pleasure. Took the worry out of leaving them behind. Chattanooga is a really fun city. Cabin was just like pictures, outside was a really nice setup. Overall we were very pleased with our stay. Hiking was close by and cabin was just like pictures. 50 and 30 amp hook ups for your RV. Hang gliding facility near by. Hiking at Lula Lake to Cloudland Canyon. Lake Winnepesaukah Amusement and Water Park is a short drive away.